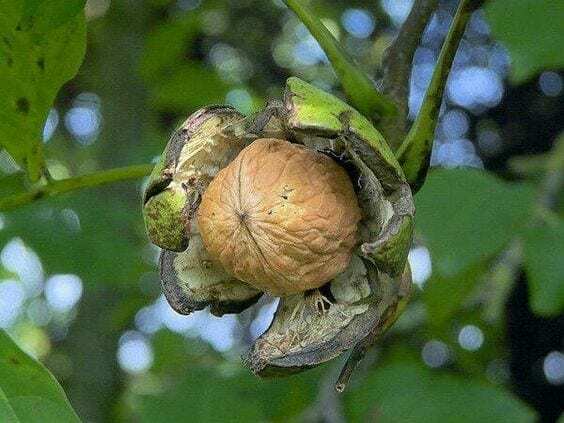 Native from Asia and South East of Europe, Juglans regia is a common variety of walnuts grown all over the world together with Juglans nigra (black walnut). 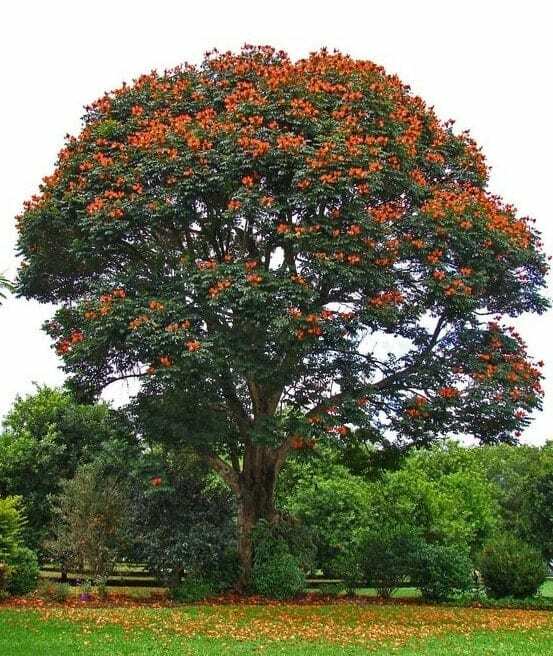 This deciduous tree can attain a mature height of 30m and is normally cultivated in temperate areas in Europe, Asia, Africa and North America. 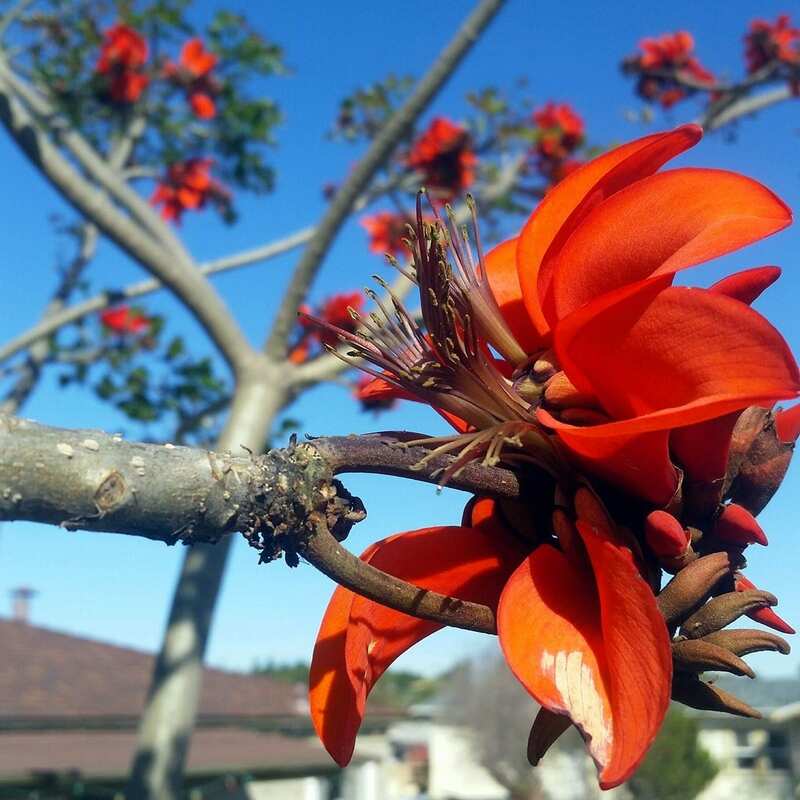 It is well known for its high level of tolerance to extreme temperatures and has been reported to tolerate low temperatures of up to -17 °C. The English walnut has a long-life cycle of up to 150 years. 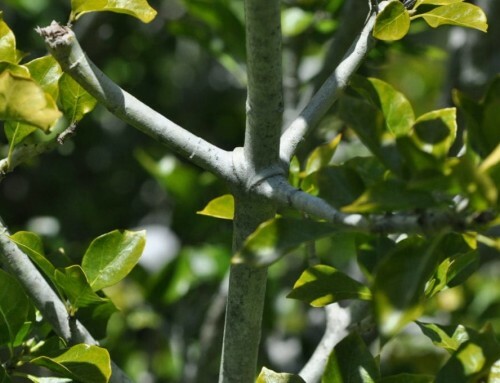 Its grey – green branches grow in an upward pattern, giving the tree a high and broad crown. 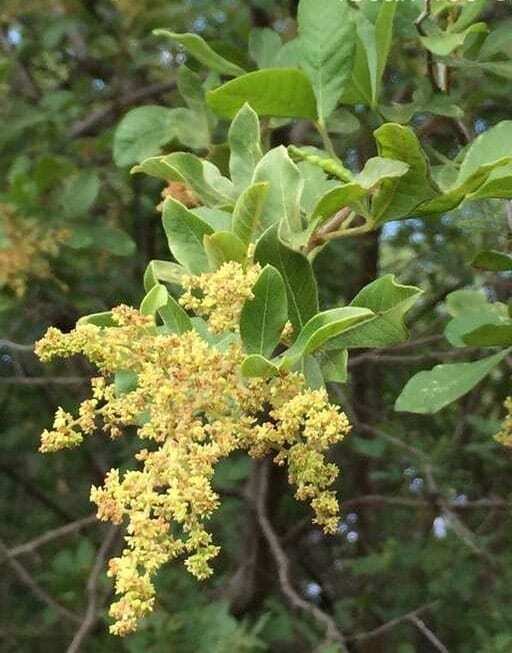 Leaves are compound and arranged alternately along the stem. 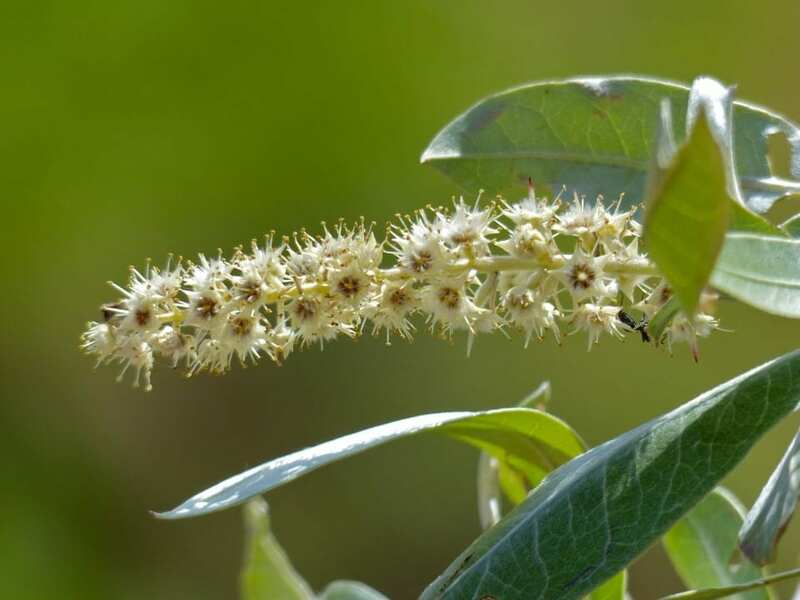 Each leaf is comprised of five to nine leaflets, each reaching a length of 5 to 12cm. 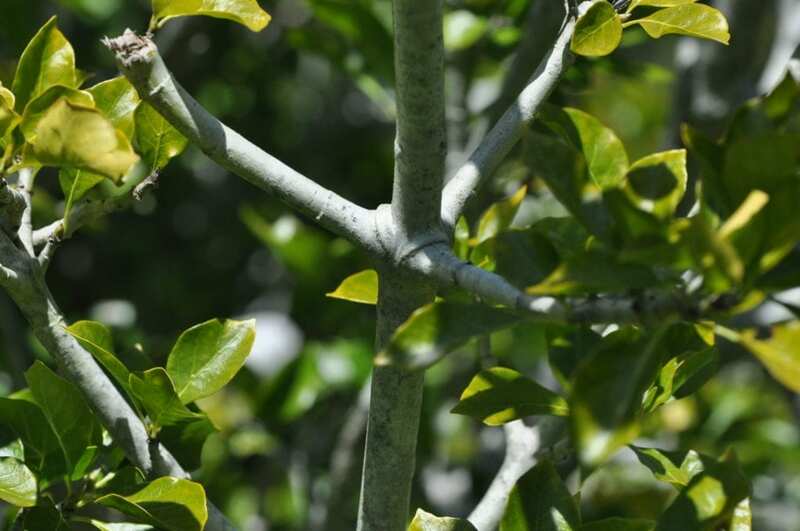 The trunk has smooth silver-grey bark and young twigs are green. Flowers are greenish in colour; male flowers appear in form of hanging catkins while the female ones will be solitary or in spikes in groups of four. 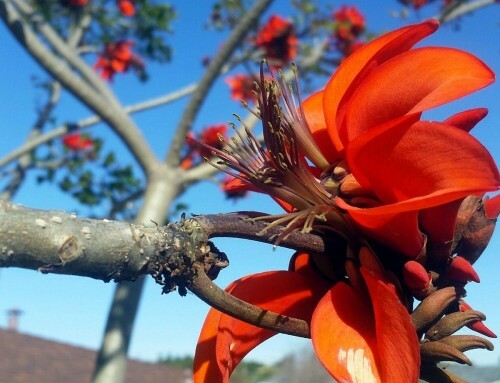 The tasty fruit is enclosed in a green husk which splits open when the fruit matures. 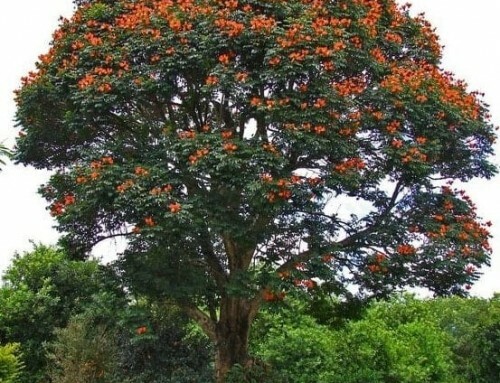 This tree has fast growth rate of about 0.9m per year. 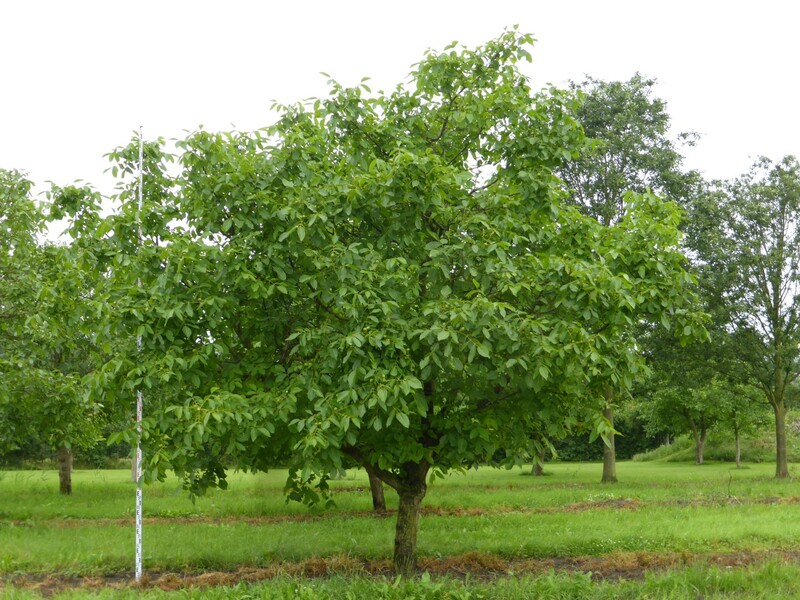 In landscapes, the English walnut is normally grown as a shade or fruit tree as it produces edible, nutrient rich nuts used in different recipes or eaten raw. In Autumn, the leaves of Juglans regia turn dull yellow before they shed, thus adding colour to the winter garden. 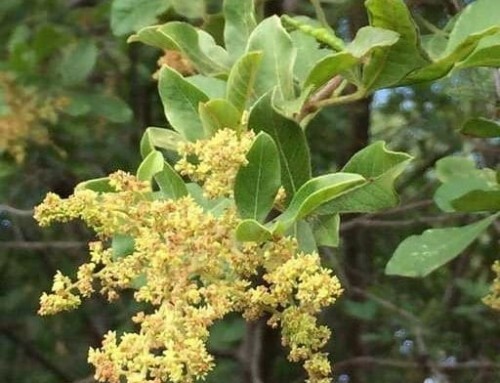 Other plants will often not grow under the Juglans regia because its fallen leaves and husks contain juglone, a chemical that acts as a natural herbicide inhibiting establishment of other plants.